There are 2 new Mahindra Scooters available for sale online in Fixed Price. New Mahindra Scooters available at starting price of Rs. 48,615. All new Mahindra Scooters come with 100% Refundable Token Amount. Few top new Mahindra Scooter models are Mahindra gusto, Mahindra gusto 125. Mahindra is an Indian automobile manufacturer known for his vehicles that are sold all over India. The company was founded in the year 1945 by multiple owners at that time and was started as a steel trading company. Its venture in automobiles started when the company got the rights to distribute Willy’s cars in the Indian market. In due course of time, Mahindra and Mahindra (M&M) started flourishing and acquiring small to mid to large scale companies of the Indian market. The company ventured into two-wheeler production in the year 2008 when it acquired Kinetic motors. Kinetic was already facing a bad time, and two-wheelers made by the company fetched no market for them. After the acquisition, Mahindra renamed the company to Mahindra Two Wheelers Limited (MTWL). The company’s portfolio is managed by Taiwan's Sanyang Industry Company (SYM) with Italy-based Engines Engineering for research and product design. Currently, the company is among the reputed scooter manufacturers in the country. The scooter made by the company are designed to offer optimal comfort and maximum fuel efficiency. In the scooter segment, the company has four scooters named Duro DZ, Gusto 125, Gusto 110 and Rodeo UZO (2014). 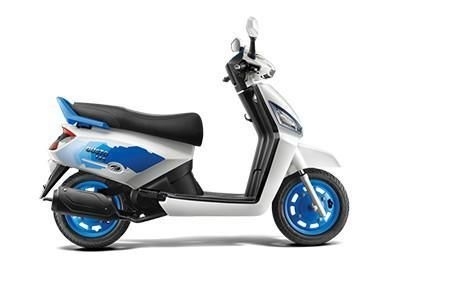 Due to the lack of demand, the company has narrowed its scooter portfolio to only two vehicles that are sold pan India. Mahindra Gusto a 110 scooter is a basic commuter and the first bike from the maker. The other vehicle sold by the company is the Gusto 125, it is an upgraded version of the Gusto. It comes with attractive graphics and a slightly more powerful engine than its sibling.